The NBA asks 'whether the dunk of Gabe Norwood with the detest of NBA star Luis Scola was the best so far. The game between Philippines' Gilas vs Argentina is one of the heart-warming game on the third day of FIBA world cup 2014. One of the best moments of the fight was the dunk of Gabe Norwood over Scola, people on the side court were all shouting and cheering after the "best dunk" so far from Gilas. Just after the game it became trending on social medias with the delight of all basketball fans and off-course the Filipino fans. 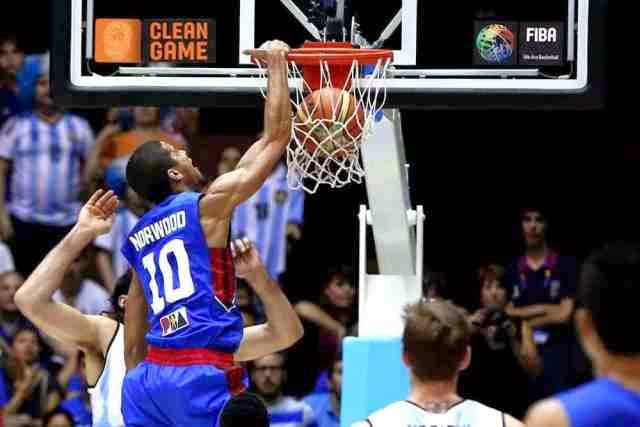 Although Gilas was not able to win, they were able to show how to play the game with #puso. Here are some info about Luis Alberto Scola Balvoa known as "Luis Scola"
Here are the previous games of Philippines' national basketball team Gilas Pilipinas.